Dr. Adarsh Chandramouleswar completed his post-graduation in radiation oncology, from a prestigious institute in Haryana. He is trained extensively in radiation therapy and chemotherapy of a variety of cancers. Dr. Chandramouleswar is vastly experienced in delivering state-of-the-art radiation therapy techniques including IMRT, IGRT, SRS/SBRT and hyperthermia. He is also trained to operate advanced radiation treatment machines including Tomotherapy H and CyberKnife. He also has expertise in advanced radiation treatment contouring methods using PET-CT, MRI and image guided brachytherapy planning. He had performed more than 250 brachytherapy procedures till now, including intracavitary, interstial, intraluminal and mould brachytherapy. He also has hands-on experience in the chemotherapy of various solid malignancies and Lymphomas. Dr. Chandramouleswar has a vast experience in the management of Head and neck cancers, gynecological cancers, breast cancer, GI malignancies, GU malignancies, lung cancer, skin, soft tissue, bone cancers and Lymphoma. 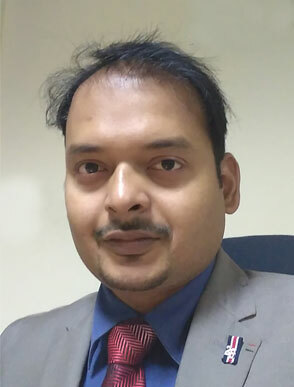 Dr. Chandramouleswar has keen interest in academics and has given presentations at various conferences and has publications in both national and international journals. He also has keen interest in palliative care of the patients, including pain management and other supportive care.